Digestive Medicine Associates (Miami) - Book Appointment Online! 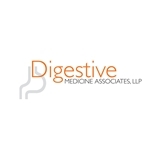 Digestive Medicine Associates is a full service Gastroenterology practice with over 50 years of combined clinical practice and are highly experienced in the diagnosis and treatment of a variety of conditions affecting the digestive system. Our main practice is located in the same building as our state-of-the-art ambulatory surgery center. Our facility is equipped to perform both diagnostic and therapeutic gastrointestinal procedures and our team of Board Certified physicians are among the most respected in their community. At Digestive Medicine Associates, our promise is to provide our patients with the highest quality personal care. We pride ourselves in the development of lifelong relationships with our patients and ensuring that we are available to you 24 hours a day. He is an excellent Dr. very professional, caring, compassionat, knowledgeable, comprehensive, listener and very wise Dr. IS been a pleasure being his patient.